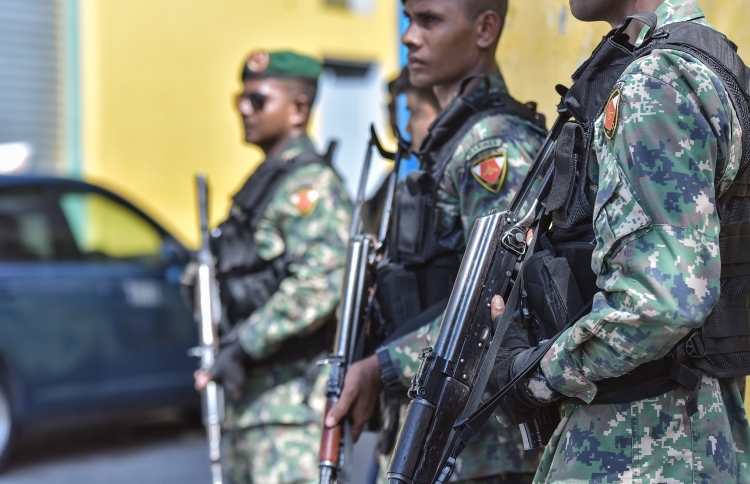 The government of the Maldives on Tuesday announced that it has received assurance that India would not send military troops to deal with the political tensions in the archipelago. The defence ministry made the declaration in a statement regarding recent talks by certain opposition figures, and media reports in India, about taking military action against the island nation. The ministry stated that such speculations were circulated with the intention of disrupting the enduring ties between the Maldives and India. It urged people to refrain from propagating such falsifications. In the statement, the defence ministry asserted that the Maldivian government has not sought military help from any country, assuring that there was no danger of foreign army interventions in the Maldives. Previously the defence ministry had also countered reports by Indian media of President Abdulla Yameen allegedly requesting China’s military assistance with the ongoing state of emergency in the Maldives. The ministry’s declaration comes in the wake of comments by the leader of India’s ruling party BJP, Yashwant Sinha, in which he had said that the current political situation of the Maldives poses a threat to India and that the Indian government has the option of sending troops to the island nation.